Have you ever seen the episode of The Middle with the plastic forks? If you haven’t, I’ll sum it up for you. The oldest son graduates from college and the parents have a graduation party. The party is outside and there are paper plates and plastic forks involved. They (the parents) are cleaning up after the party and the parents decide to retrieve some plasticware from the trash. I can’t say I’ve done that but I do sort of have that thought process…..I do NOT like throwing away anything that is potentially reusable and sure, you could use your regular silverware for outdoor entertaining but what IF they are thrown away and even if they’re not thrown away you still have to wash all those forks, spoons, knives, and plates so I definitely see the benefit of the plasticware. It is such a dilemma, now isn’t it? 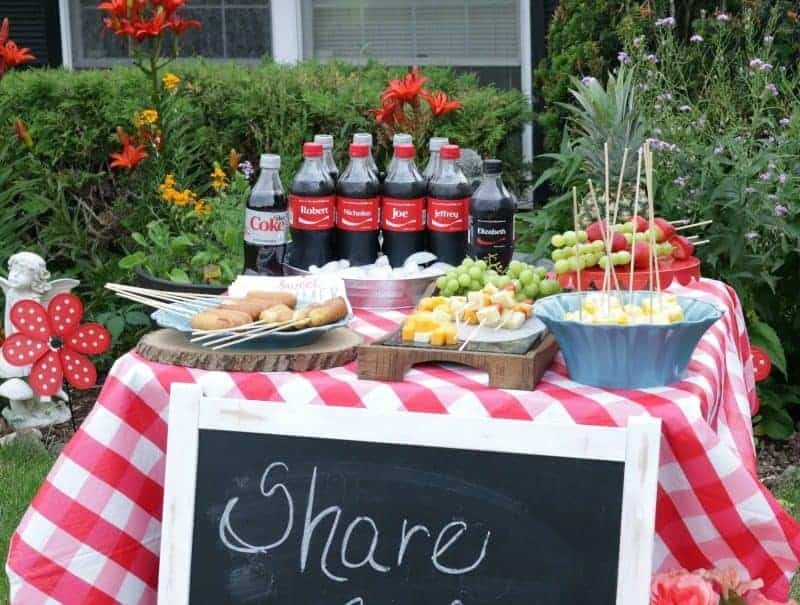 I was thinking about this recently when I was planning a small get together and then it hit me……Food on Sticks! Genius, right? Okay, so I’m not exactly sure it takes me to the status of Einstein but once I had the idea to Put a Stick In It my wheels started turning and I am quite happy to say, my get together worked out quite well and as you will notice from the pictures there was not a single fork, spoon, knife OR plate in sight! 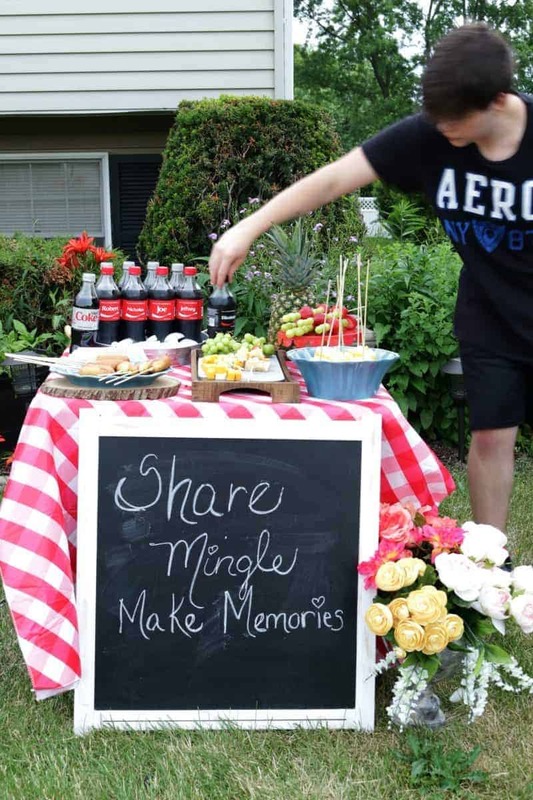 Everything was easy to grab and eat allowing sharing, mingling and making memories to occur. 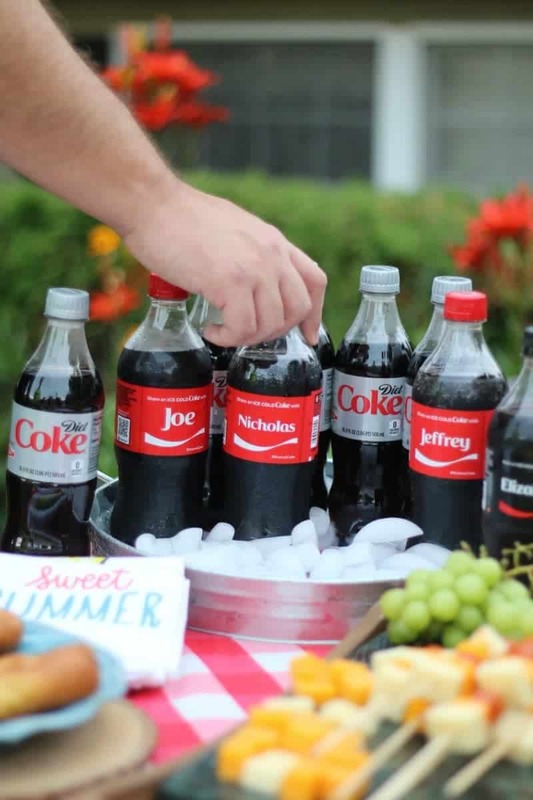 Coca-Cola™ and not just any Coca-Cola but the Share a Coke bottles with names on them – these make it so much fun to Share an Ice Cold Coke – especially when the weather is so HOT! I was at my local Giant Eagle, list in hand, to purchase my Food on Sticks ingredients. I bought fresh strawberries and grapes, a big ole pineapple and a cantaloupe. 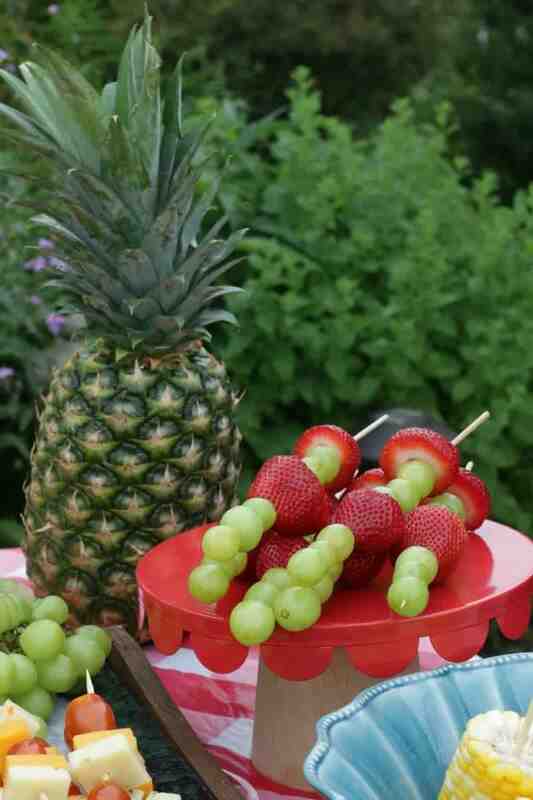 I didn’t cut all the fruit up but the fruit kabobs can have as many combos as you like or as few. 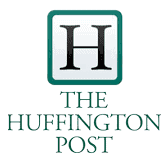 They are totally customizable and oh so good. My kids were actually arguing over who got the last one. I, on the other hand, would have been wrestling them to the ground for the last cupcake but since I wasn’t serving any of those they were safe. 😉 For the cheese and tomato kabobs, I purchased packages of cheddar cheese and Pepper Jack cheese. I cut these into cubes and threaded them onto skewers placing some cute little tomatoes after every two cubes of cheese. 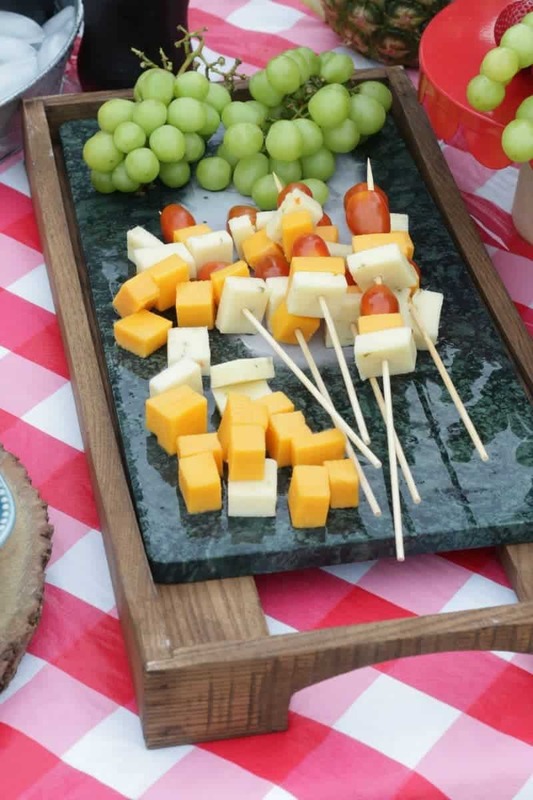 I placed the extra cheese cubes and some grapes on a soapstone platter with the cheese kabobs. It was so hot, over 90º, that the soapstone started to sweat a little but it did keep everything super cold. I also purchased corn on the cob, broke each cob in half, added a skewer to each one and then cooked as usual. I would have waited until after they cooked to add the skewer but I couldn’t figure out how to do that with them being HOT so I added the skewer first, stood them all up in the pot and cooked away. It worked! 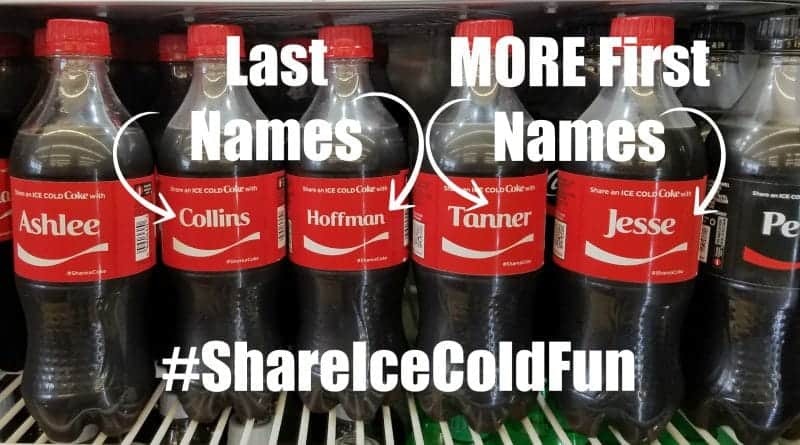 Next, while I as at the register I found the Share a Coke bottles with NAMES and this year there are 1,000 NEW NAMES including last names. My poor husband. 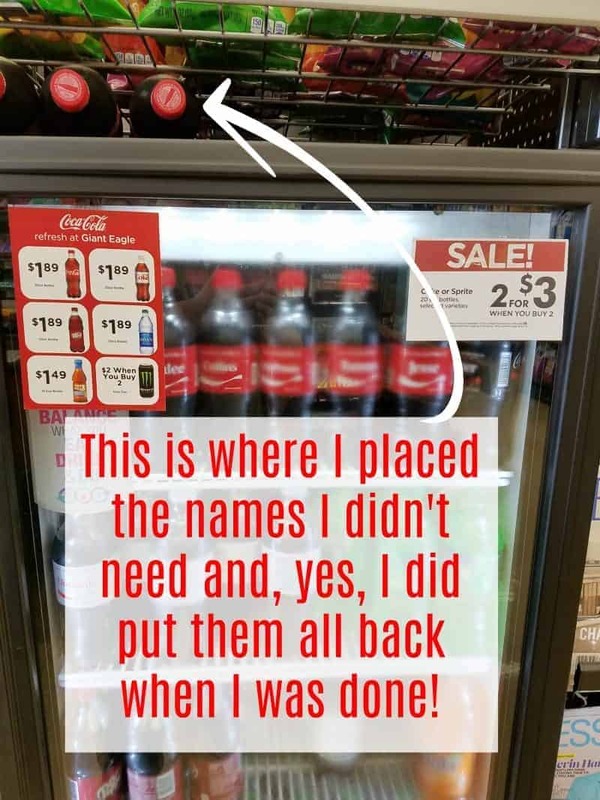 I went from register to register (that’s where the coolers were) searching for the names I wanted. 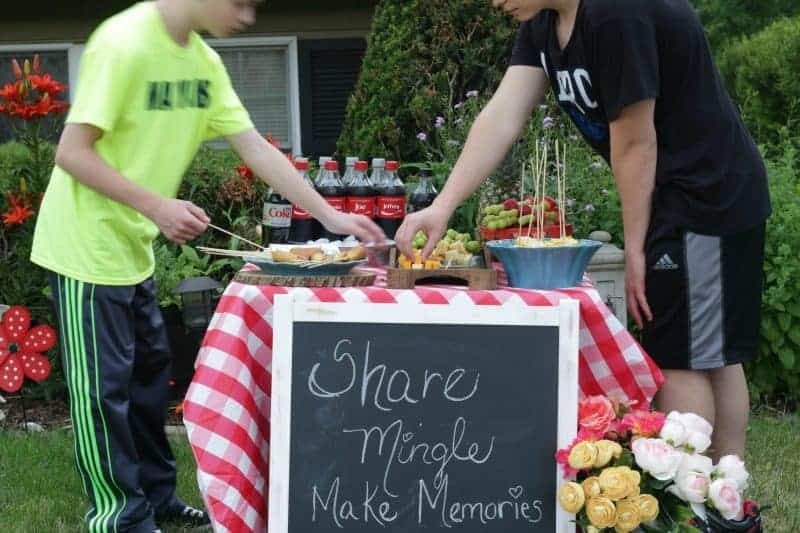 How much fun would this be for a family reunion or a party where you’ll be introducing new people to each other. 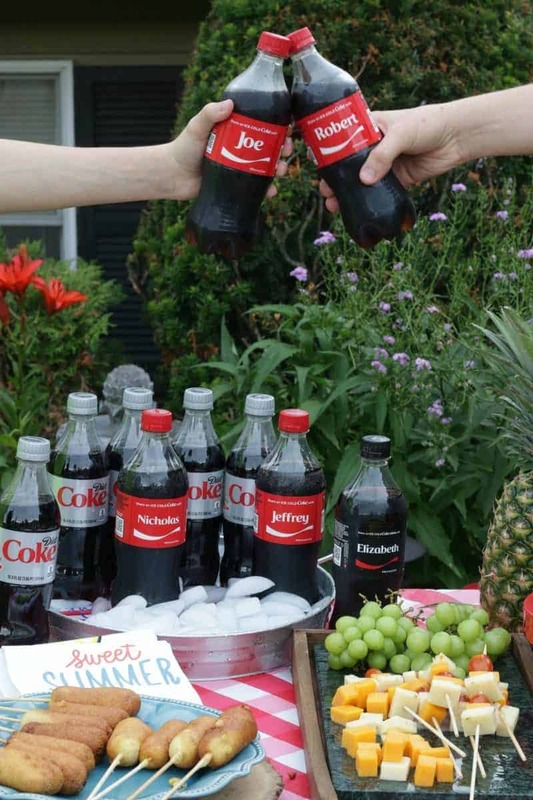 If everyone had their own name it would be like a drinkable name tag! I bought a bunch! 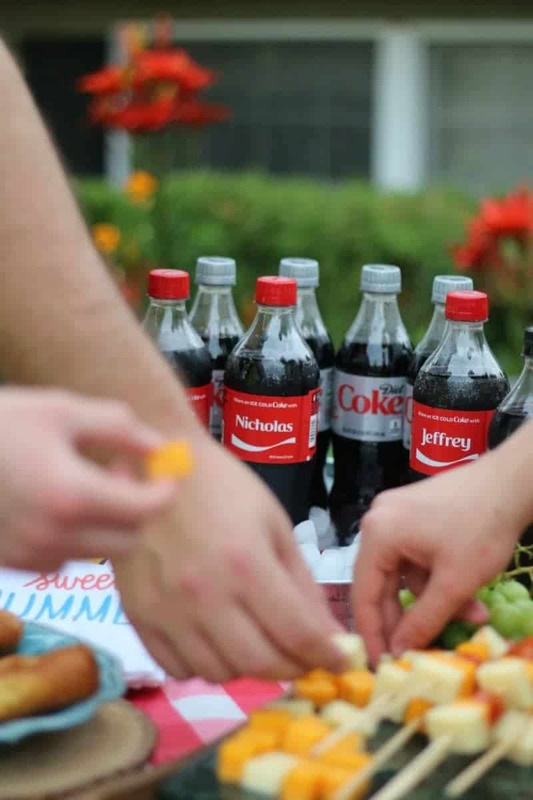 I found a Coca-Cola with the name Nicholas for my husband….now, his real first name isn’t Nicholas but he goes by Nick so we were happy with this one (I doubt we will EVER find his first name on anything…we never have!). 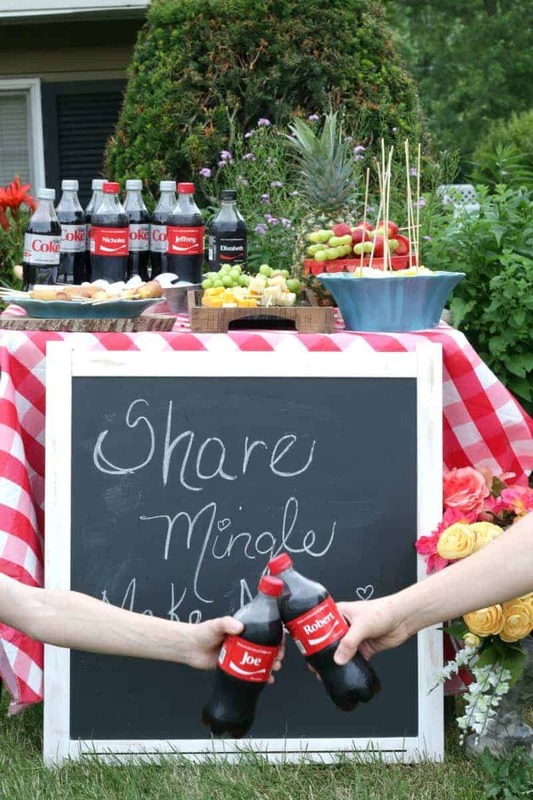 I chilled our Coca-Cola, Coca-Cola Zero™, and Diet-Coke®, in a cute galvanized tray with lots of ice because we all know that it’s better to Share Ice Cold Fun! 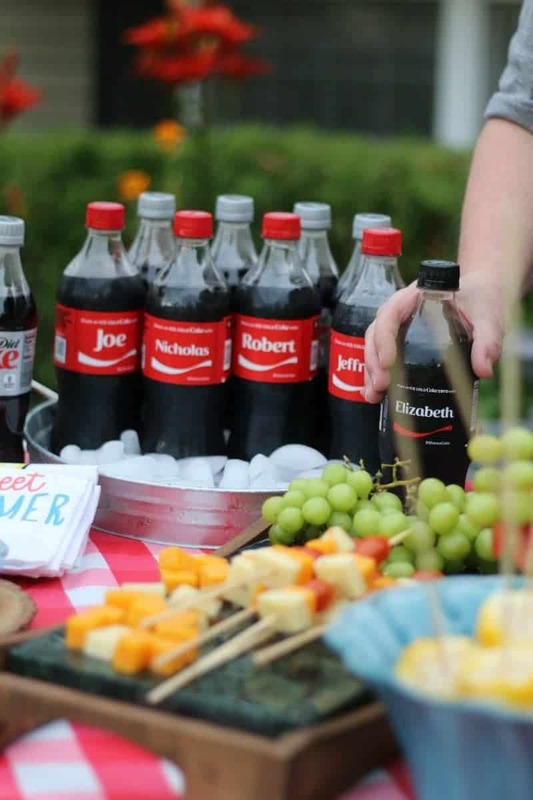 *Party Tip: As a party guest it’s important to check every bottle for your name. 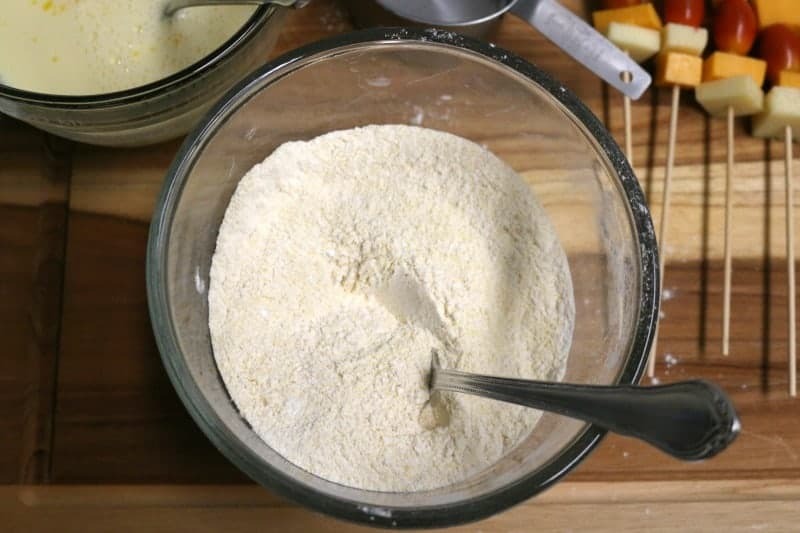 Oil for deep frying and large pot or deep fryer. 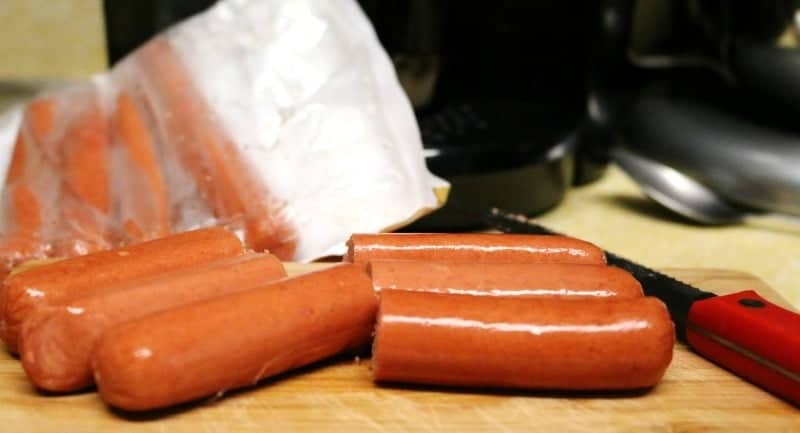 After cutting hot dogs in half place them on a plate lined with paper towels and dab the hot dogs until they are dry. This will allow the batter to adhere to the hot dogs better. 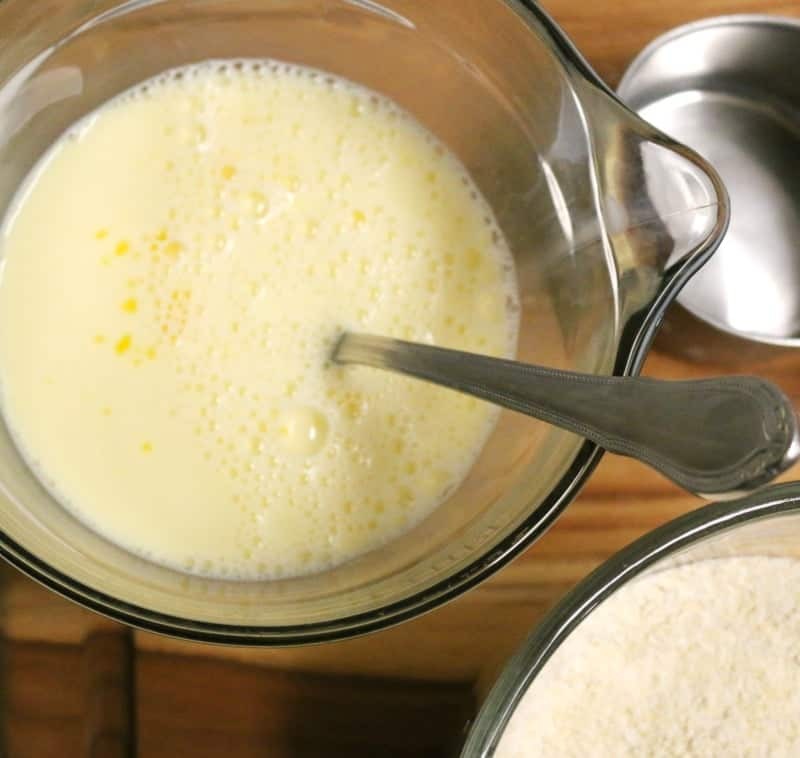 Mix together the cornmeal, flour, sugar, baking powder, and salt. 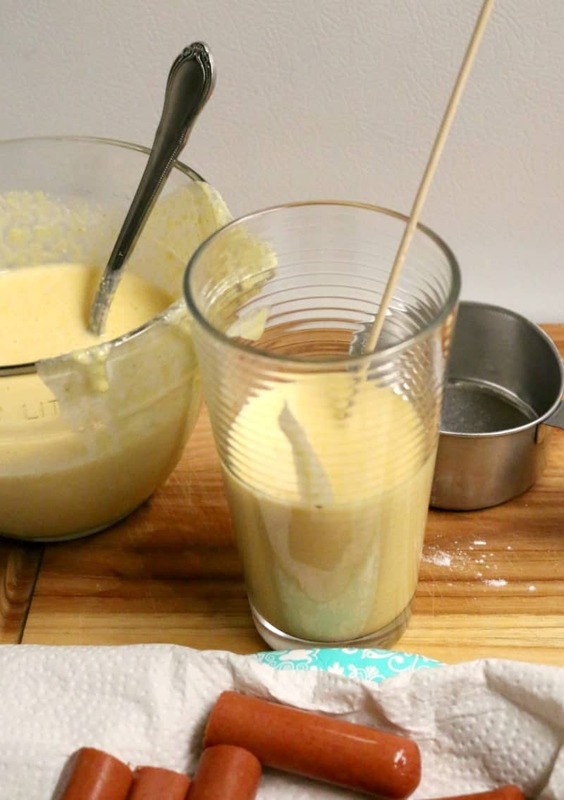 Pour batter into a tall glass. This will make it easier to coat the hot dogs in the batter. 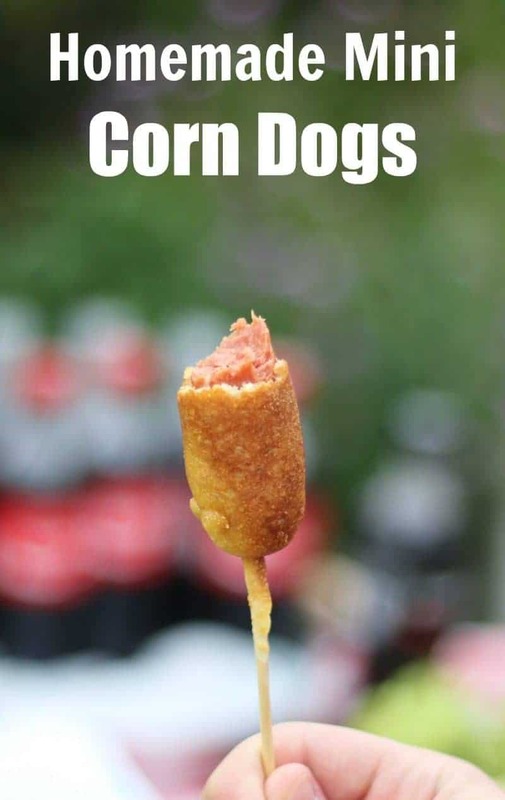 Add skewers to the bottom of each hot dog and dip in the batter. 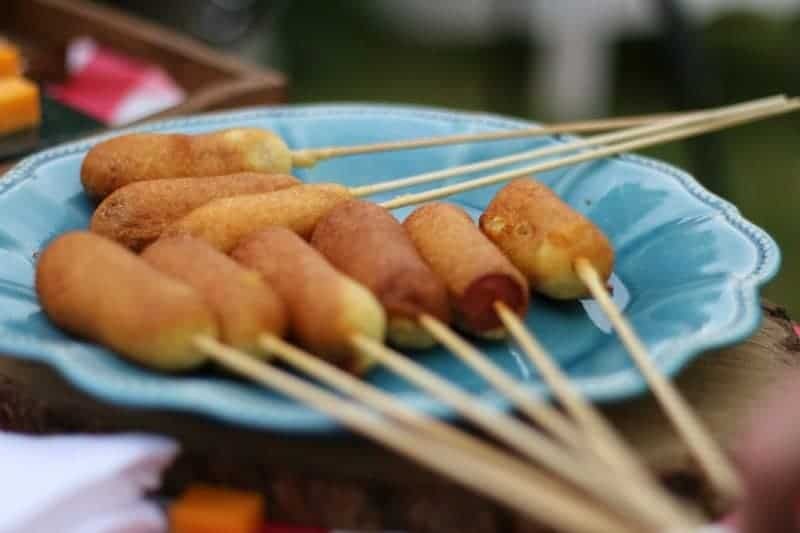 If using a deep fryer, start heating it up about 15 minutes before you will be adding your hot dogs. 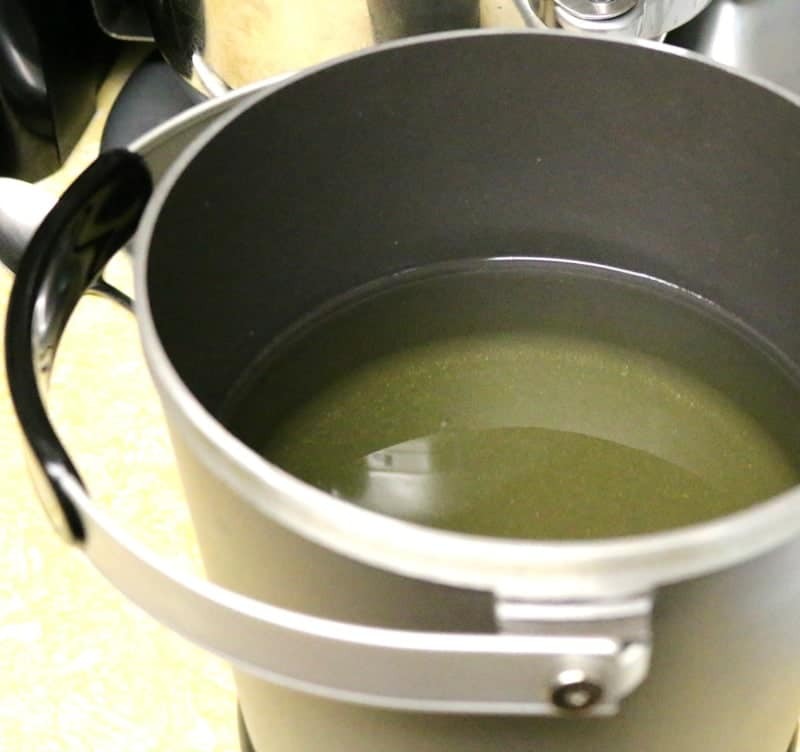 If using a pot add 4 inches of oil and heat oil (use a deep fry thermometer to monitor the temperature) until the temperature reaches 360 degrees. 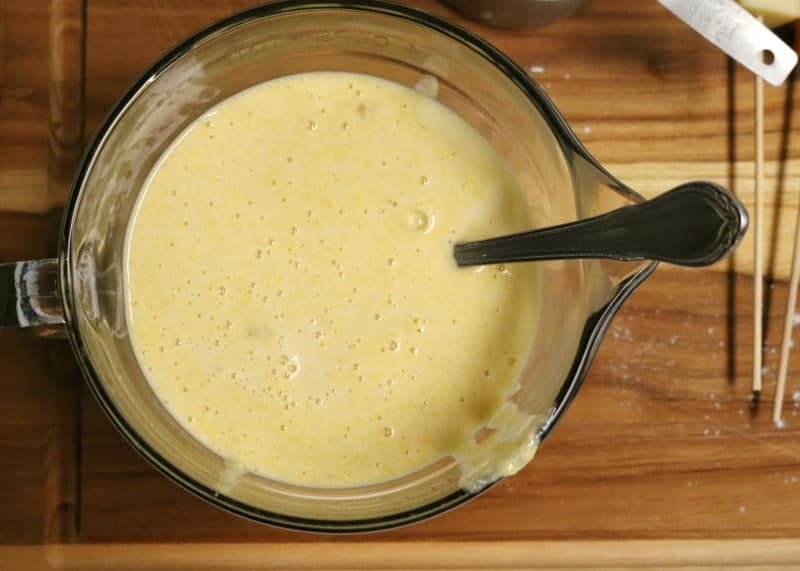 After dipping each hot dog into the batter, gently shake off any excess and lower into the hot oil. Fry until golden brown and crispy, about 3 minutes. 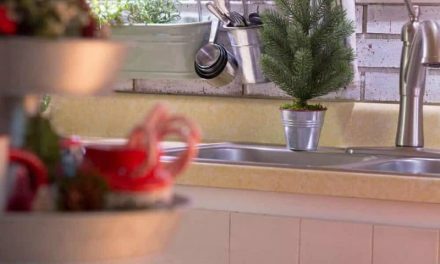 Remove from oil and place on a paper towel lined paper plate. 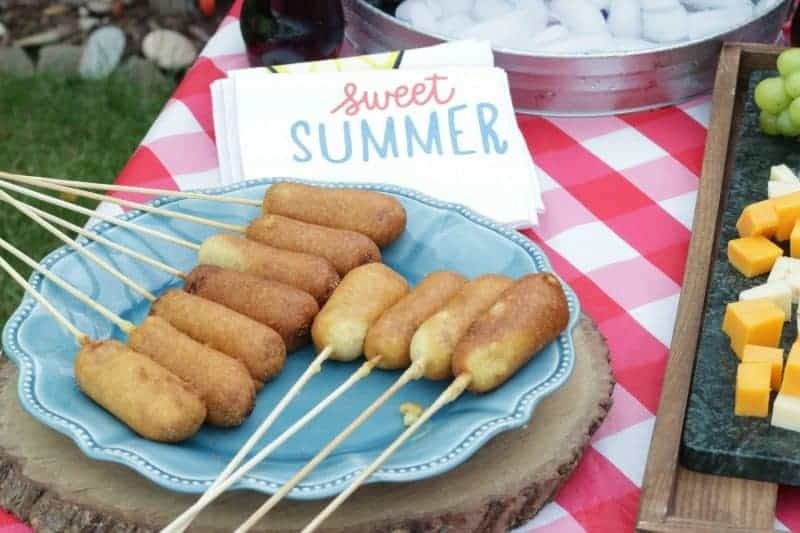 Our little Food on Sticks get together was a huge success because it’s always fun to…. 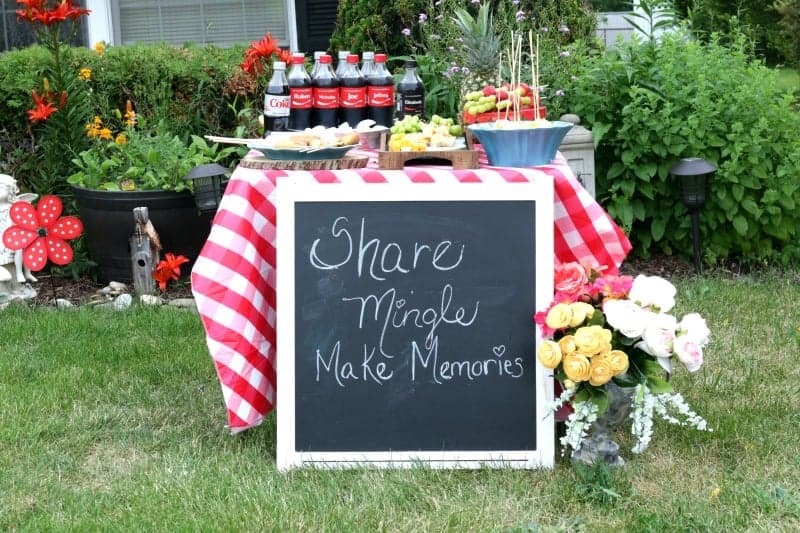 Share, Mingle, and Make Memories! 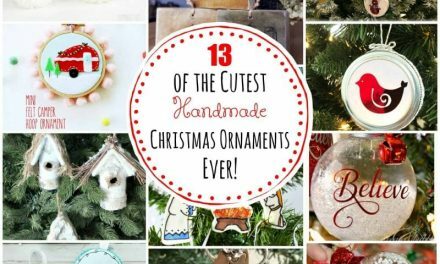 I sometimes check Giant Eagle on Twitter, Instagram, Facebook or Pinterest for recipes and good deals before I go shopping….inspiration is always a good thing! Have you found your first or last name yet? 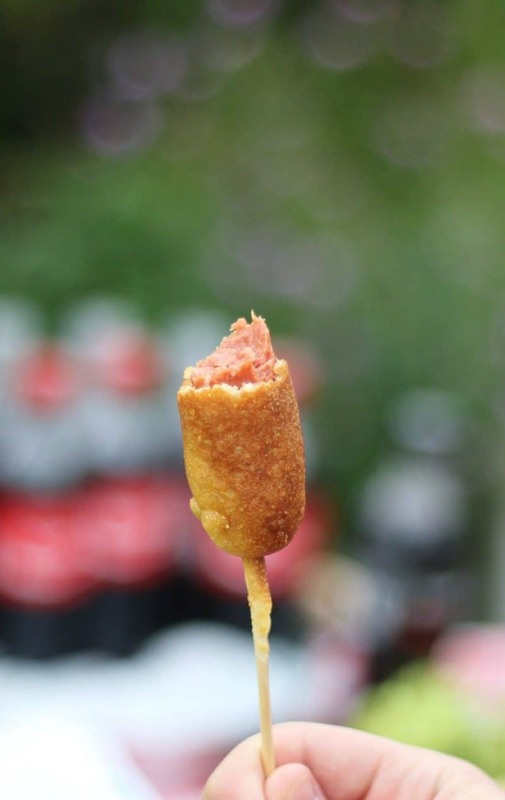 What food on sticks ideas do you have? p.s. Save the skewers to stake small plants in your garden or use in your firepit. 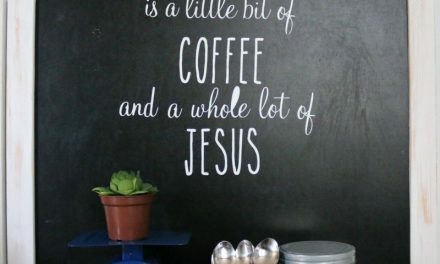 See, there’s almost always a way to repurpose things! 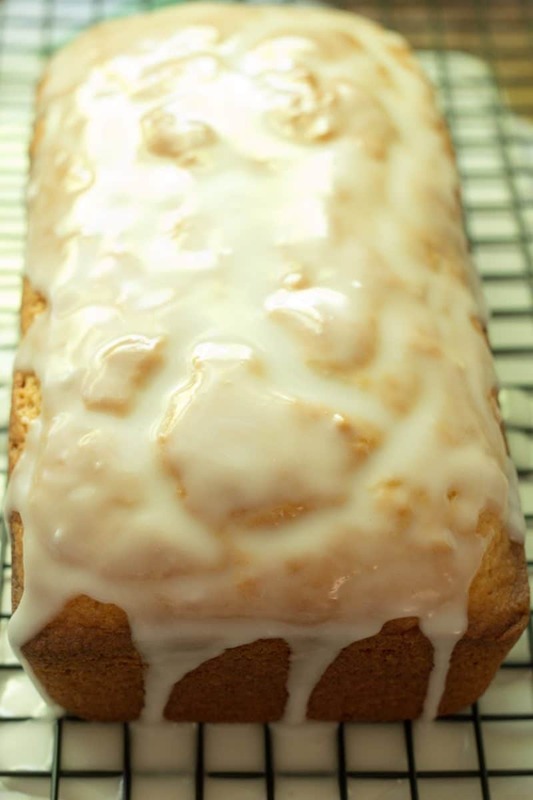 How to Make an Iced Lemon Pound Cake That’s BETTER Than Starbucks – and a lot less expensive, too!